In our house, we have not a single pink toy. So it was a bit of a shock for me to see a little girl's playroom which, inevitably, is full of all things pink. 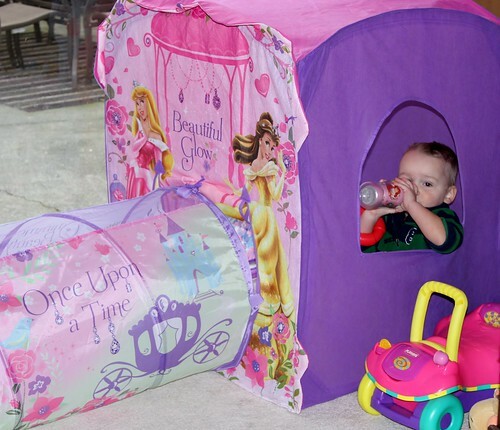 And here's our very boyish boy, sitting in a princess palace and drinking from a Disney princess sippy cup, quite oblivious to silly things like gender stereotypes. 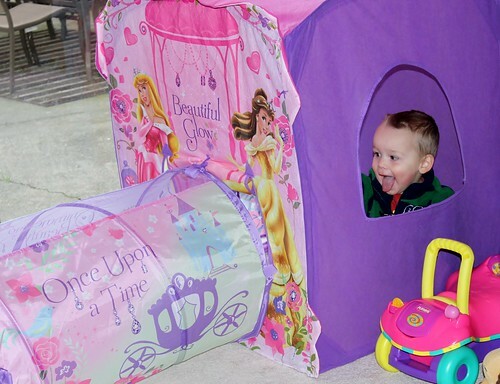 That princess palace was pretty cool after all.